In June we wrote about (link) Amparo, the delightful electro pop album by New York-based Maria Usbeck. A native of South America, the album was written during Maria's travels on that continent. A collage of intriguing rhythms and airy melodies, the album is both exciting and relaxing. Today, Labrador Records (Sweden) and Casine (New York), both of which also released Amparo, have delivered the Amparo Remix EP. The EP features remixes of four of the best songs from the original album. The contributions are by Project Pablo (Montreal), Jensen Sportag (Nashville), Tempelhof (Italy) and Kaazi (Brooklyn), all of which due justice to the original work while adding some new spice. Stream the EP below and buy it from the labels or your preferred digital platform. Let's start with the bottom line: Don't miss Ten Hymns From My American Gothic. This is a top 20 album of the year -- pop rock with superb songwriting, soulful vocals, interesting and uplifting storylines, incisive social perspective and more humanity that you'll find in the entire Billboard 'top whatever' list. The album is the work of St. Lenox, the performance name chosen by Andrew Choi. Choi was raised in the American Midwest by his Korean immigrant parents. His talent and love of music took him to Julliard, where he trained as a violinist. He owns an Ivy League degree (Princeton), a PHD (Ohio State) and a law degree (NYU), and now works as an attorney in Manhattan by day, and writes and records music at night. His previous album was Ten Songs About Memory And Hope, which displayed his burgeoning talent as a songwriter (as an attorney myself, I'll note that Andrew displays a rather lawyerly way of naming his albums). Ten Hymns focuses broadly on the American immigrant experience, both in general terms and Choi's specific path as the son of Asian immigrants. Written to mark his father's 70th birthday, Choi's wide lens encompasses relationships, the inspiration to study law, confronting bigotry, American culture, raising children and other topics. Choi packs a lot of words into his songs, and his delivery has a free-form, stream of consciousness aspect. But his feel for language and his soulful tenor make it all work to great effect. The arrangements are piano and electronic based, and provide a rich backdrop for Choi's stories. This album is a triumph of musical art, to be sure, but it also is a triumph of the American Dream. And given this election cycle, it is sorely needed. Ten Hymns From My American Gothic is out now via Anyway Records. I have been a fan of the perfectly crafted indie pop of Sweden's The Radio Dept. since hearing their debut album, Lesser Matters, in 2003. While the band has gone through several line-ups, and now is down to long-term core members Johan Duncanson and Martin Carlberg, it has consistently turned out melodic, dreamy pop tunes marked by their bittersweet tones and consistent high quality. We have had a long wait for a new album after the deservedly praised 2010 release Clinging To A Scheme, but the wait is over with last week's arrival of Running Out Of Love. For those that recall The Radio Dept. as a guitar-oriented dream pop band focusing on personal themes, Running Out Of Love contains a few surprises. First, the instrumentation here is largely electronic -- not in the EDM vein, but more in the New Order/Pet Shop Boys channel, with touches of Detroit house and some baggy beats. Of course, a great song is a great song, regardless of the existence of guitars, and the band's knack for melody and sophisticated song dynamics, and Duncanson's softly accessible vocals, remain welcome constants in the mix. The second surprise is that the album is pointedly topical. Addressing politics, rising racism and fascism, xenophobia, and social disaffection, the album paints a darkly dystopian picture of the modern world. In "Occupied" they even turn aim their glare at their record label, due to a contract dispute (a relationship since patched up, I believe). I expect I share a lot of the duo's politics, but whether you do or do not, I repeat: A great song is a great song. And this album is comprised of ten great songs. If you miss the idea of guitars, I'll note that it is very likely that The Radio Dept. has a thick catalog of draft guitar tunes that may reach your ears in the future. But in the meantime, enjoy one of their finest and most consistent efforts -- Running Out Of Love. I suspect that you won't miss the guitars at all. Running Out of Love is out now via Stockholm's Labrador Records. 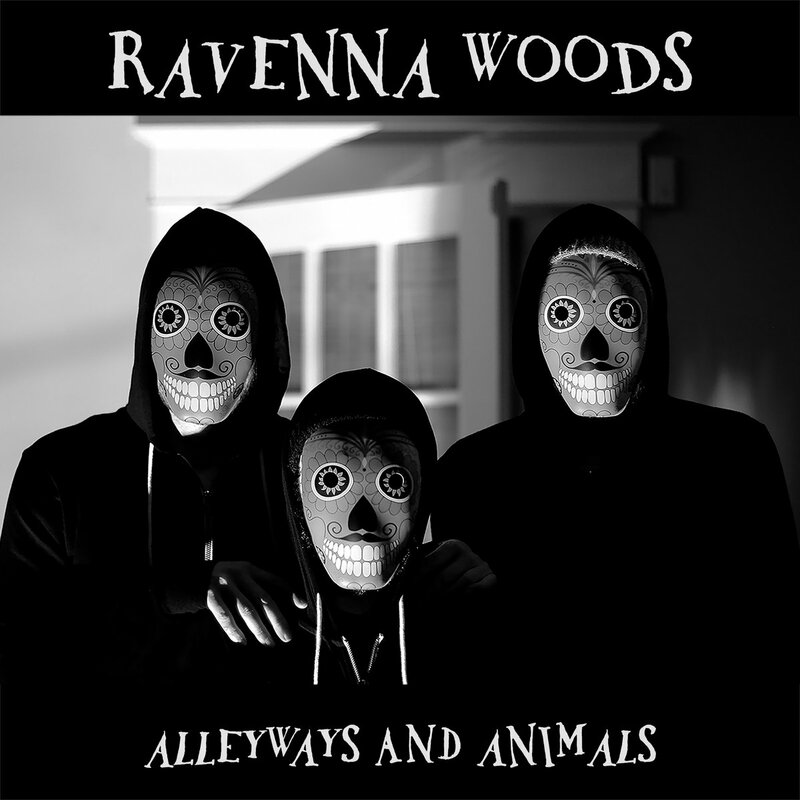 Seattle's Ravenna Woods brew an intoxicating set of songs on Alleyways & Animals, their new EP. The band has long had a talent for combining acoustically oriented folk rock and art rock, with a sheen of intensity that make other bands seem like pretenders. The lead track for this record, "Alleyways", adds a dose of new wave electronics to great effect, resulting in an anthem that makes sticking around for the rest of the songs inevitable. And the listener won't be disappointed to spend the time. This is a band that infuses every song with an immediacy and sense of importance that commands your attention, locking you in to the surging dynamics, layers of sound and harmonies. Ravenna Woods are Chris Cunningham (guitar/vocals), Matt Badger (drums), Brantley Duke (keys), Nicolas Danielson (multi-instrumentalist), and Reed LV (bass). Alleyways & Animals is out now. Stream it below and buy it at the Bandcamp link below. For me, Eskota is one of the most evocative musical experiences of the year. The vocals and instrumentation paint a picture of skewed memories, fractured dreams, searching for a sense of place, and the lure and illusion of home. The five songs are the work of Sawyer Gebauer, performing as Catch Prichard. Sawyer recorded the album in an abandoned grocery store in a Texas ghost town called Eskota, and now resides in Oakland. But the emotional content likely was formed in Sawyer's years traveling to and from Europe while fronting Brittsommar, a band he formed in Sweden. Eskota features Gebauer's warm, sandy baritone and simple arrangements dominated by pedal steel, guitar and drums, with occasional synths. And as enchanting as that all is, the magic here for me is found in the questions raised about where your home is, how to find it, and how to experience it. Perhaps it is just my stage in life combined with recent events, but this is an album I want right now. It is an album I need. From one Wisconsin native to another, thanks, Sawyer. Eskota is out now on Devise Records.